William has now worked in the automotive industry for over 5 years as a parts specialist, service adviser, and marketer. A happy face to greet you in the morning he is always ready to help. Either Wes or William will work with you while your car is being repaired at Alexander’s. William has a passion for cars and wants to make sure you understand what is happening with your car while it visits Alexander’s. Guy shares ownership of Alexander’s Import Auto Repair with Dan, and has also been in the automotive business for over 35 years. Guy is a certified master technician by ASE (Automotive Service Excellence) and has worked on a larger variety of cars than most people can name! Guy often works as a technician and shop manager. Together Dan and Guy run the day to day operations of Alexander’s as well as larger operations such as accounting and big decision making. They both are at the shop on a daily basis and are dedicated to making Alexander’s a good business to work at and to visit. Wes works at the front counter. 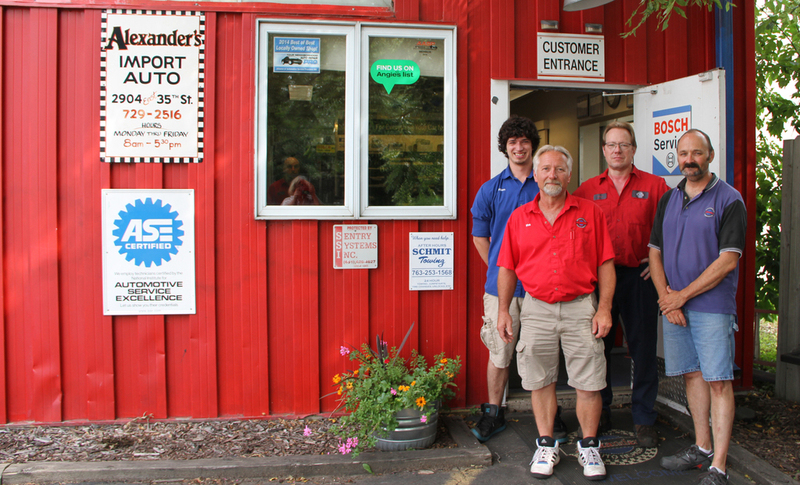 Wes has been in the automotive industry for over 36 years at many jobs including technician, tool sales rep, parts specialist and service adviser. With many years of experience Wes is happy to help with any car repair, big or small! Wes enjoys camping in his RV with his wife, and golfing in his free time.